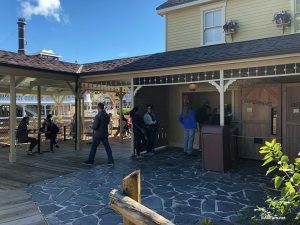 Recently, Mike Scopa wrote a great four-part blog titled “My Fixit List.” In these articles, he discussed ten things at Walt Disney World that he believes have been neglected and need attention. His blogs got me to thinking, what would I do if I ruled the World – Walt Disney World, that is. If I … Continue reading "If I Ruled the World – Part One"
Tom Sawyer Island (or TSI for short) is billed as a giant-sized playground geared to youngsters. I would like to add it’s a wonderful place for photographers. Many interesting and challenging subjects await you to capture, lots of activities for the kids and unique views of Frontierland and Liberty Square. Tom Sawyer Island is actually … Continue reading "Tom Sawyer Island – Part I"